Lake Success, N.Y. (May 29, 2013) – GCG (The Garden City Group, Inc.), the nation’s recognized leader in class action settlement administration, bankruptcy case management and legal notice programming, is pleased to announce the promotions of Amanda Horn and Lori Castaneda to assistant vice president of West Coast operations, headquartered in Seattle, WA. According to Keough, Horn personifies GCG’s values of service to its clients, employees, and communities. Her industry knowledge, operational proficiency, and commitment to clients have been an asset to GCG’s West Coast market growth. Horn will continue to develop ongoing client relationships, and consult with current and prospective clients throughout the West Coast and national class action market. Her breadth of experience, ability to understand the complexities of managing class action cases, and positive outlook in the face of any challenge make her the ideal advisor to GCG’s clients and colleagues alike. She has led numerous class action administrations, including the Music Publishing, Webloyalty, and Ticketmaster cases, among others. Horn joined GCG in 2005 as a business development consultant based in Los Angeles, CA, after nearly a decade of experience with class action litigation and its administration processes. Prior to joining GCG she was an associate attorney with Hagens Berman Sobol Shapiro, LLP. Her class action knowledge and tenacity resulted quick advancement within the company. In 2008, she was appointed director, West Coast operations, and relocated to Seattle, GCG’s West Coast headquarters. In 2011, Horn was promoted to the role of senior director. She earned her Bachelor of Arts at the University of California, Los Angeles and received her Juris Doctor from Willamette University. She is licensed to practice law in the states of California and Oregon. Keough noted that Castaneda’s dependability and passion to drive teams to deliver have been keys to GCG’s day-to-day operations in Seattle. She has managed complex and diverse high-profile cases, including a management role in the Indian Trust Settlement administration. Castaneda will continue managing the administration of some of GCG’s significant class action cases and strengthening its West Coast presence. Prior to joining GCG, Castaneda worked in corporate mergers and acquisition administration for more than 20 years, most recently as general manager at CSCFinancialonline.com. In that role she supervised a large office, where she was responsible for cultural assimilation, strategic focus, process improvements and revenue growth including operations, client services and sales. 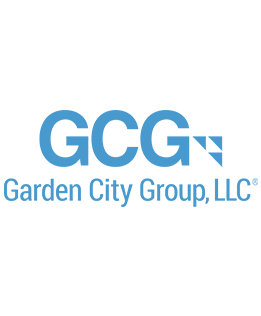 In April 2010, she joined GCG as senior director, operations, and quickly learned the class action business. Castaneda earned her Juris Doctor from the University of the Pacific, McGeorge School of Law and remains active with the California State Bar.